See how we recently deployed the ENVI-Marine™ system to the Union Maritime tanker. Pacific Green Marine installed its patented ENVI-Marine™ system on to Union Maritime Limited’s chemical tanker Westminster. Our joint venture partner, the Chinese-government-owned PowerChina SPEM, carried out the production. The firm built the system in its state-of-the-art fabrication facilities in Shanghai. Naturally, Pacific Green Technologies engineers and production management team supervised the whole process. Following Pacific Green Technologies audit of numerous yards, Pacific Green Technologies appointed Besiktas in Turkey to install the “Hybrid” system that means that the ship’s crew will be able to determine whether to use the system in either ‘open’ or ‘closed’ modes. The system was a custom design for the chemical tanker and is designated as Model 16-177. The ship’s main engine generates up to 40,790 kg/hr or 31,530 Nm3/h (Wet basis) of flue gas from combustion of heavy fuel oil containing approximately 3 wt% of sulphur. 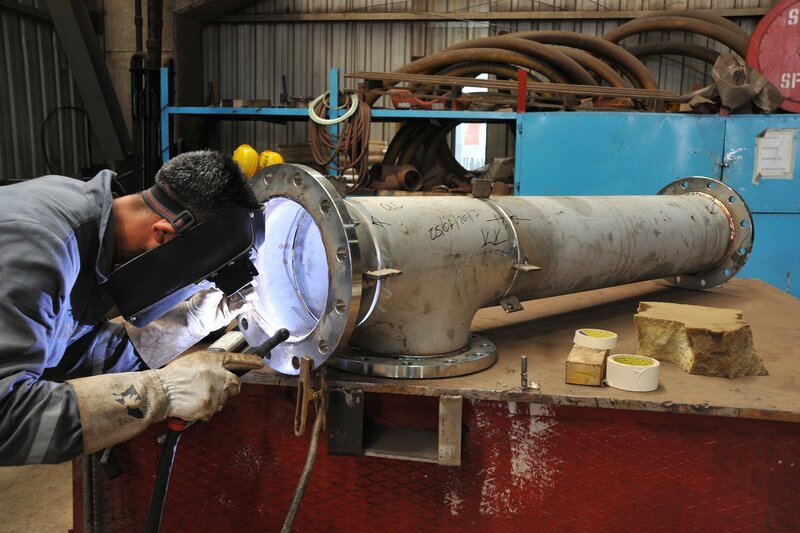 The flue gas typically has a temperature of 235 degrees C and an SO2 concentration of up to 1,500 mg/Nm3. The American Bureau of Shipping’s (“ABS”) technical surveyor was in constant attendance to monitor and certify the emissions output on the ENVI-Marine™ System’s performance on the UML Westminster. The tests were based upon a series of emissions tests using the Continuous Emissions Monitoring System (CEMS) on-board the ship at various operational speeds from ‘dead slow’ through to ‘navigation full’ with the ENVI-Marine™ System operating both in ‘open’ and ‘closed’ modes to monitor the emissions measurement at each speed. The results prove once again how effective the ENVI-System™ is and confirms that a large vessel can install ENVI-Marine™ to remove sulphur from less expensive high-sulphur fuel. Pacific Green Technologies achieved industry-leading performance emissions results on the ENVI-Marine system. Results were between zero sulphur detectable up to a maximum of SO2 ppm/CO2% of 0.21 for ‘navigation full in open mode’, which is equivalent to an oil sulphur content of only 0.005%. That is just 5% of the allowable limit. The company also achieved further industry-leading performance in ‘closed mode’ at the various speeds. The ENVI-Marine™ performance was between SO2 ppm/CO2% of 0.06 and SO2 ppm/CO2 of 0.6, which is equivalent to an oil sulphur content of 0.015%. That is just 15% of the allowable limit. Regulations for SECA are at a maximum sulphur emission of SO2 ppm/CO2% of 4.3 (which is equivalent to an oil sulphur content of 0.1%). The ENVI-Marine™ performance on UML’s Westminster is substantially better than the maximum emissions limits regulation for both SECA and IMO 2020 Regulations in either ‘open’ or ‘closed’ modes. International Maritime Organisation (IMO) maximum emissions limits internationally from 1st January 2020 are a maximum sulphur emission of SO2 ppm /CO2 ppm of 21.5, which is equivalent to a fuel oil with sulphur content of 0.5%. 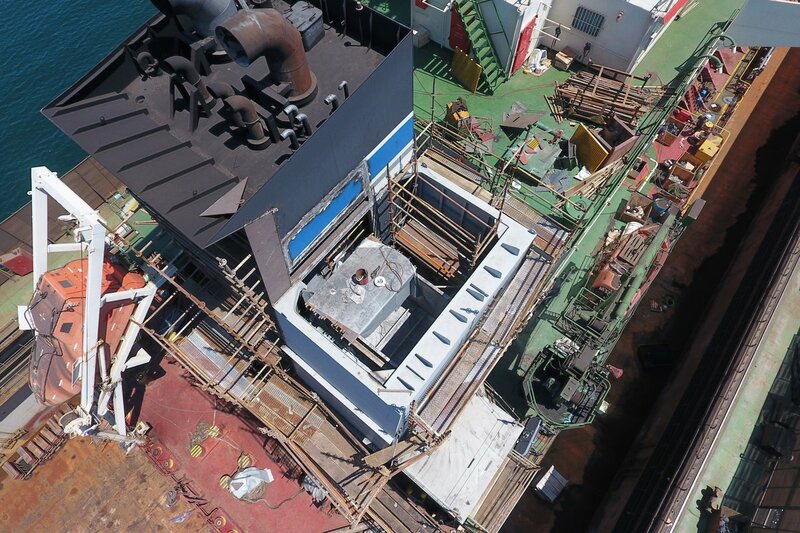 The results prove once again how effective the ENVI-System is and confirms that a large vessel can install an ENVI-Marine™ system to remove sulphur from less expensive high sulphur fuel. And that means your ships will enjoy a cost-effective means to comply with emissions regulations, leading to very short payback periods and cleaner exhaust gases.